This week has been completely exhausting, however very exciting. I started off the week with four exams and a paper due, all by Thursday. However, I was amazingly distracted by this wonderful idea I had Monday, and by Tuesday I was receiving all sorts of support, but more to come on that later. So yeah, four exams, the first full week of the semester, nothing really big happened. OH WAIT I saw Katie and Lindsay yesterday and that made me really happy. Nothing brings more joy to my heart than coffee and friends and we went to Starbucks so we had both. We also did some shopkicking at Target, can’t wait to earn my Coach bag, or a new camera! Oh I also found out that I will be getting a VoxBox, so in around a month or so there should be a good post on that! Oh I started crafting again, but you’ll see those pictures in a few scrolls. That involved an excellent trip to Target and Michaels. Two of my favorite stores with one of my best friends here at school, Zoe, we got a little out of control and we caused a bit of a scene, but none the less it was a bundle of fun. I think that’s it for this past week though. So right now it’s supposed to be snowing and raining, however it is not, and it needs to because having tomorrow off would be absolutely incredible. This week needs to go by quickly because the second I get out of lab Friday I’m heading home for spring break. A week off is going to be quite incredible. Anyway, this week I have a lab report, group presentation, and a research paper due. This is at least a little better than last week, just a little bit more involved work that it would be nice to get a head start on tomorrow. Friday, I’m not sure what I’m doing when I get home, but Saturday is Lindsay’s birthday so I’m going to spend the day with her, Katie, and possibly Jade. I’m just looking forward to some normal quality time with my friends rather than rushed or limited time with them. I think that’s about it for now that’s going on in the upcoming week. I think. New Part of Weekly Updates! Anyway more about my exciting news that I have been so anxious to share more about with you guys! Incase you haven’t seen it here is my post on this section that is being added to my weekly updates: Blogger Convention. So first update on this situation is that I have finally named it! The name is going to be blogvention (blog+convention, so creative, I know) it will be held in the beginning of June of summer 2015 in Philadelphia. However, I am still struggling to find a partner to accomplish this huge task with. I’m just going to put it out again that I can’t do this on my own and if someone would be willing to be other half during this project I would be more than happy. Please email me at marysaverageadventures@gmail.com with any comments, concerns, or questions because I would really really appreciate any kind of help ideas, or just happy emails in general. This is something I’m really excited, but for the convention to live up to the expectations I have for it, it’s not something I can realistically do on my own. I also mentioned that I started crafting this week, well that would be to start having some sort of organizational system behind blogvention. So here are some pictures of my book that contains a few sneak peaks of ideas I have. My first of four to-do pages, which I’m sure will be followed by many more. Just a few of the plans I’m starting to develop for the days of the convention! Sponsors are going to be a hard thing to find and they are just one of the many things I need help finding. Hopefully as I set dates in stone and make more specific plans I’ll be able to fill pages of the agenda to eventually make a program for the event. This is a place designated for any important information or papers that I might get for this event. I have a tendency to pile things, which then get lost, so hopefully this will help to prevent that problem. Just some random thoughts and ideas that may not fit into another category yet. There just little things that need more development. I think as I get closer it’ll be a good reality check to see how far I’ve taken one little idea I had whilst peeing. Okay so that’s it for today guys, I really hope if you are at all interested in this idea that you will contact me. Seriously you can be from anywhere in the country or world and still come. This started as an idea for the east coast, but the more it expands the better. I would love any help that anyone could give. Thanks for considering to help at least, and thank you for reading! I’m so Excited: Blogger Convention Idea! PLEASE HELP ME! Okay guys I revealed an idea last night and the more I thought about it the more excited I got, and I really want to make this thing happen. So incase you didn’t read until the end of yesterday’s post I flirted with the idea of starting a bloggers convention on the east coast. The more I thought about it the more I wanted to do it. So before I can start making any sort of arrangements I need interested people. If you would be interested at this at all please email me marysaverageadventures@gmail.com or comment on this post. This is something I really want to do and I think it’s a really obtainable sort of thing. 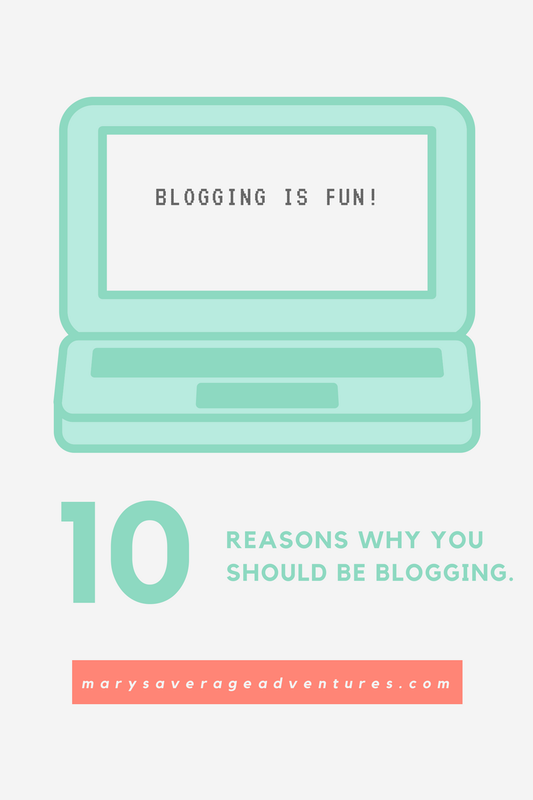 There are conventions for everything else in the world, why not blogging? Yes, there are already some, but there aren’t many on this side of the US, or geared to any sort of subject, a lot are specifically for fashion bloggers, beauty bloggers, or mommy bloggers, you get the point, there is no sort of collective one that I could find at least. So why not start one? First of all I know this is going to take forever to plan so I’m shooting for summer 2015, probably mid June. I’m hoping I can get enough big bloggers to be on like blogger panels to make it a three day event complete with meet and greets. So I have no idea where I want to have it. When I was looking for conventions to go to I was trying to look in the Philadelphia region so that I could commute daily, but if I’m planning the event, I’m going to have to stay overnight either way, so I’m thinking somewhere else now maybe? I’m not sure. I could really use a helper if there are any volunteers out there! So I know this is not a typical post at all for me, it is literally just a crazy idea I have, but I want to make this crazy idea a reality. So I have some questions to ask. Can you share this with your friends? Who would you want there? Are you interested in helping me out? Guys I am one hundred percent committed to this if there are people out there willing to go! Like I can’t even tell you how excited I’ve been for something that might not even happen. I know I need to make connections and get the word out there, so if this is something you’re interested in, please SHARE! It can’t happen without the power of the people. I need ideas too. Please, please, please, get in contact with me if you have any ideas whatsoever. If you think this is a terrible idea, I also wouldn’t mind hearing that side of things too! I really want this to happen, so please, give me input! Sorry for a crazy idea post instead of a crazy writing post,, I’ll be back to normal promise. Please help me out, I would be so grateful! Well here on my weekly review/update/what’s to come this week, anyway it’s going to be a long one so let’s start with this past week. This week included a lot of exciting stuff and really bad stuff too. Sunday was rough because there was too much ice and I couldn’t do anything, and then I worked Monday and struggled with the cleaning lady who comes once a month or so while I tried to make lunch before work. Anyway Tuesday came with a day off as well as a visit with my good friend Shannon and a trip as you read to Chocolate World. Wednesday was nice, I had the wonderful opportunity to catch up with two very important people from high school, my friend Angela for lunch at Subway, then my friend Steph along with her adorable little baby for coffee around dinner time, so that made for an awesome day, unfortunately this brought the first feeling of many days of horrible anxiety. This was also about the time that I discovered one of my favorite bloggers and one of my greatest encouragers(?) deleted her blog, which made me sad and worried. So once again if anyone has an email address for The College Misfit, please share it with me! Thursday I met my cousin and his girlfriend at Shady Maple and I had a rather pleasant day, I went to Lindsay’s house and filmed a video, then we went to the coffee shop and I went home and did something but I don’t really know what, I have a feeling I did something that ignited a panic attack though, fun! The worst came Friday and Saturday, and I don’t really want to talk about it because it makes me get really upset again. I guess if you’re reading this you may be wondering why I put all of this here on my blog, well my guess is that only 2-4 people actually see each post even though I have sixty some followers and I sometimes just need to get it out and I figured this is a good place to release some of my anxiousness. Plus there are some really awesome people like a blogger named Genesis who try and help me through the rough ones and I will always be thankful for those of you like that. Then today, I had church with my sisters and a giant family picture, which was annoying, but hopefully worth it when the pictures come out. I also just returned from a fantastic night out with my friend Alex, Nathan, and Lindsay joined us too, and it was nice to see some people that I don’t get to see that often. Anyway, what is in store for this week? Tomorrow I have plans with Lindsay, and hopefully Katie but she doesn’t feel like driving out to my house for some reason, which I don’t understand because I drive there a lot and Lindsay’s a lot, so it makes sense for them to drive to my house too sometimes and then some shopping with my sister so she can pick out her Christmas present (finally). Tuesday is going to be super busy, I’m meeting my dad for lunch and then my little friends that are still in high school at the local coffee shop, then since my sister is a varsity cheerleader I’m going to go to the basketball game she’s cheering for. Wednesday will come with more plans I’m sure, I just can’t remember what they are right now, probably something with Lindsay and Katie. Thursday I go back for three days of work before I depart for school again. I’m going to try and have one last sleepover with my friends before we go back, but I foresee it falling apart and it makes me really sad. I also plan on taking my youngest sister to the movies for her Christmas present, unless she doesn’t want to see anything that’s out and then she’ll just wait or pick something else. Well that’s basically my update for the week, I’m really hoping my anxiety chills out this week because I can’t handle another week like the past couple of days. Also, don’t forget to read the questions below and guess, especially if you read my blog! January 11: The credit card industry. January 12: What words does Lady Gaga have tattooed on her left arm as a tribute to her fans?